... and everywhere you are not. 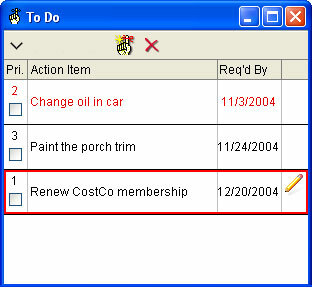 Einstime includes a "To Do" list that tracks tasks and when they are due. Like all Einstime tools, the To Do window can be configured to your preferences. 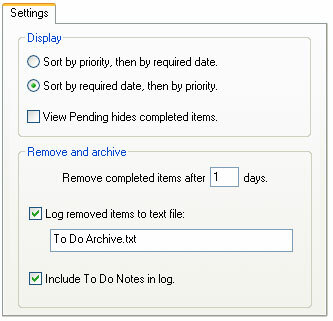 Completed tasks can be automatically removed and archived. Einstime is a trademark of Impact Software.